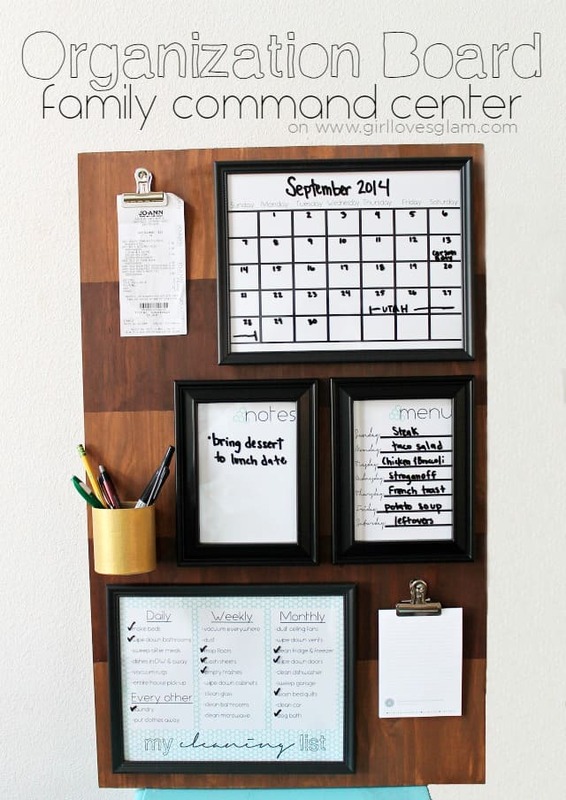 In March 2012, I made an organization board to help keep my family in order. I made it with a baby strapped to my chest and decided to put it on my blog that I had just quit my day job for. 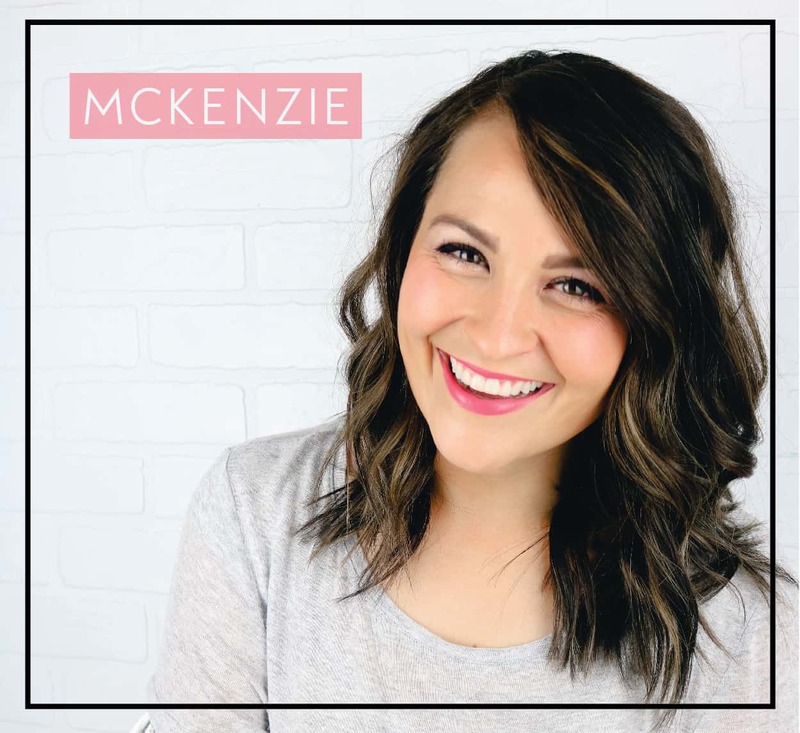 Three months earlier, I had decided to take the plunge and be a full time blogger… at the exact same time as I had my first child. Interesting timing, right? 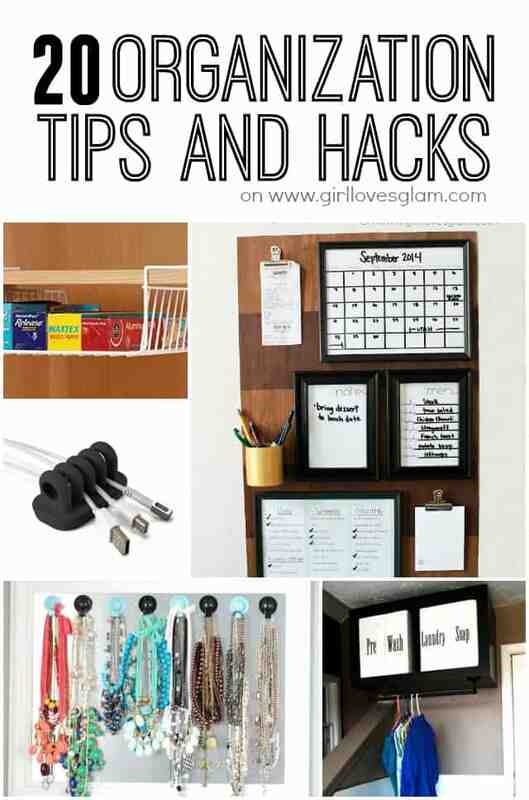 Well, that little organization board tutorial went VIRAL! I had no idea what was going on. I just suddenly was getting hundreds of comments, emails, and my life was completely changed. That post is still one of my top traffic sources to this day, but I cringe every time I see it pinned on Pinterest, which is over 500k times… that is a lot of cringing! The lighting was terrible and I am SO over chevron print and the colors aren’t exactly my style anymore. You can see the full tutorial for my first organization board, here. 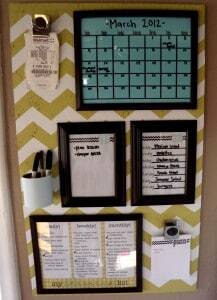 I have wanted to change up the good ol’ organization board for a while now, but just have had ZERO motivation to do it. Once we moved, I decided to finally take on that project. I set my entire old board a side and started fresh! Ladies and gentlemen (for the one random dude who happens to come across this post), I present to you… The Organization Board Family Command Center version 2.0! Ahhhhh… isn’t that so much better? I really wanted to bring in some natural elements with the stained wood, while keeping some funky features like the stripes and the metallics. It was a miracle day! For more than one reason. It was the day we were cleaning out our house because it had sold. That was a huge miracle because I had been living apart from my husband for a few weeks while I was trying to get the house ready to put on the market. By a major miracle, the house sold in just 6 days! I had to stay there until all of the paperwork was signed and everything, but it was a major miracle that our house sold that quickly. I wanted the house to be spotless for the man who was purchasing our home. After we got the trailer all loaded up, I enlisted the help of my husband to clean our house. Before he even had a chance to moan about it, I put our new, handy dandy Swiffer Big Green Box that we had just gotten on our doorstep in his hands. 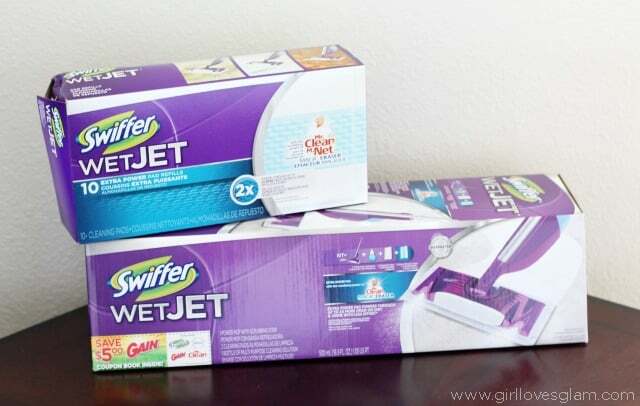 Inside it, he found a Swiffer Wet Jet. He promptly got to work getting the house all mopped up. Talk about a second miracle! A man who cleans and doesn’t complain about it? I’ll keep him! Teaching Toddlers Laundry Skills. Stop Sorting Laundry! It is every mother’s dream. The day that her kids can do chores. The day that mom doesn’t have to do absolutely everything to keep the house in order. Well, that day may come sooner than you think! I believe that toddlers are capable of having chores of their own! Recently, I have started teaching my 2 year old how to do laundry. She absolutely loves it! It makes her feel like a grown up, while she is honestly helping me out with one of my least favorite household chores. One of the biggest frustrations early on, was trying to teach her to sort the laundry by certain types of colors and if the item would bleed more than others. Thankfully I was able to stop sorting laundry all together and I don’t have to go through that frustration anymore! 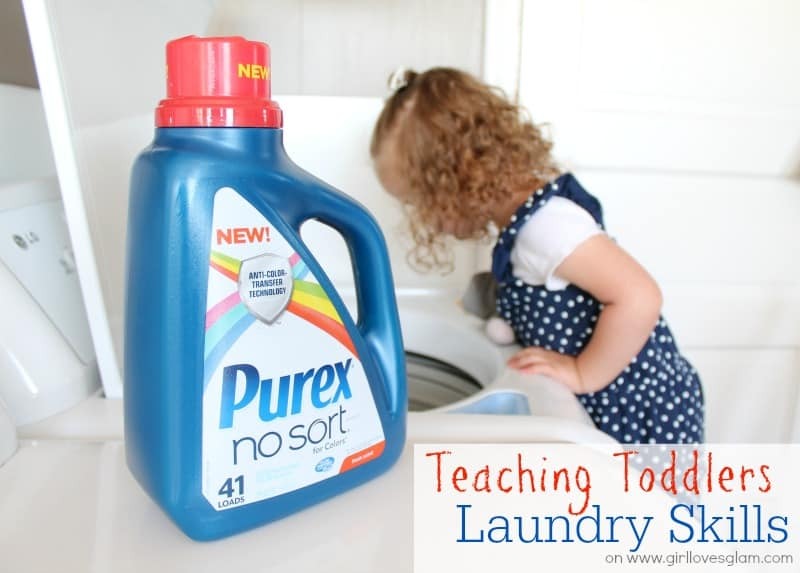 Enter Purex® No Sort™! The rules have changed in laundry! We have to reprogram our brains with this laundry detergent. We no longer have to sort out our laundry like we used to. This detergent has anti- color-transfer technology that traps loose dyes in the wash and doesn’t let them get on other fabrics. Of course it is always good to put strongly colored fabrics like new clothing and jeans in a separate load for at least 5 times, but beyond that, there is no sorting required! That is why it is perfect to help teach toddlers to do laundry! Teaching them the ins and outs of laundry sorting can be tough and can be something that they could learn later, but for a 2 year old it was just too much right now. Here is what I taught my two year old about doing laundry. First, we bring her laundry hamper out to the laundry room and I let her put all of her dirty laundry into the washing machine. Remember the no sorting thing? I can just have her dig right into those dirty clothes and put them all into the washing machine at once! Then, I get a chair for her to stand on and get the laundry soap out. I measure out the amount of laundry soap that we need and then I have her dump the laundry soap into the compartment. She feels like such a big helper when she does this part. 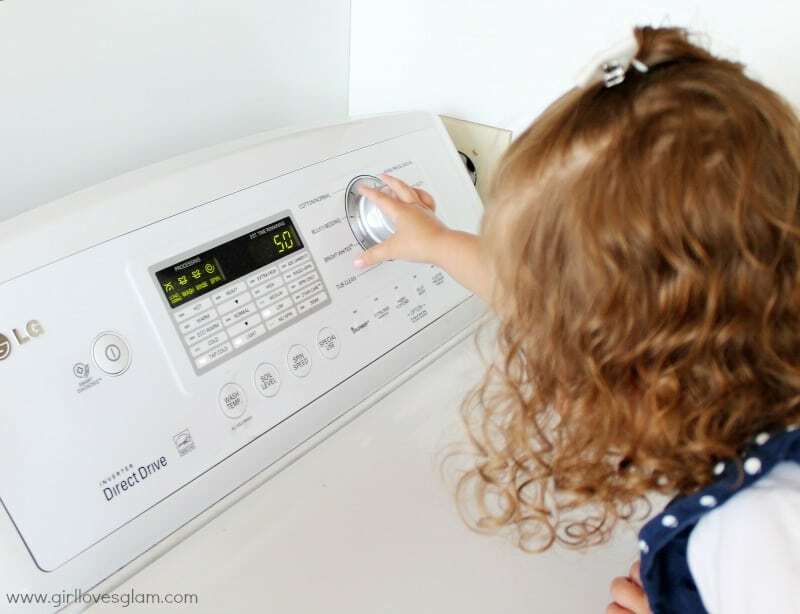 I tell her what buttons to push to get the washing machine started and she gets to start the load of laundry up! Next we head over to the cleaning list that I have. 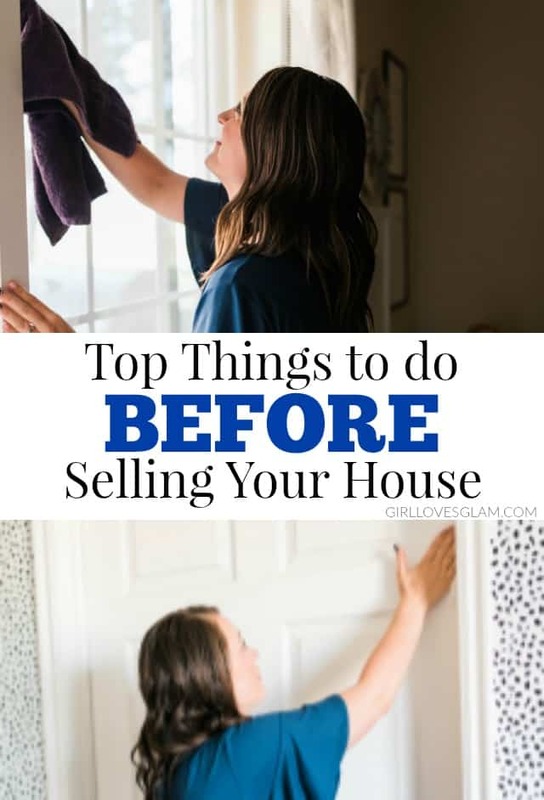 I recommend having a cleaning list for your family to see what needs to get done so that it can be a very visual, hands on experience. 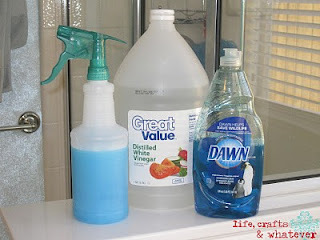 You can find my free printable cleaning list HERE. 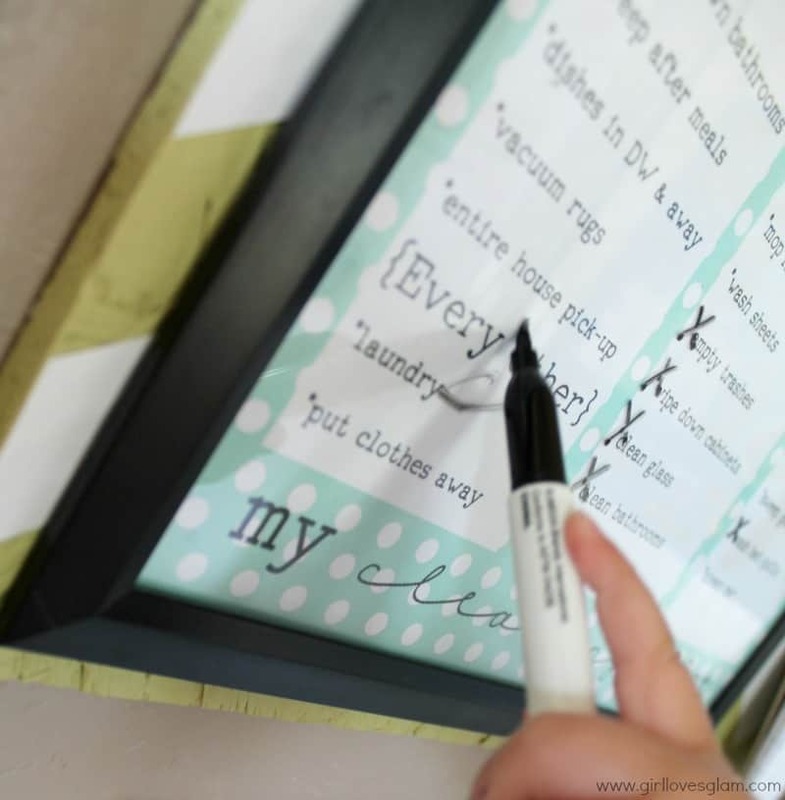 I give her the dry erase marker and show her what chore to mark off. She feels like she is helping out our family by doing what she sees mom doing all of the time. It has been a really fun experience to watch her learn and grow as I let her help me with little chores around the house. Laundry is definitely a favorite of hers. Remember to keep your kids safe! That is always going to be the first priority. Don’t leave any stools or chairs near the washing machine when there isn’t adult supervision around. 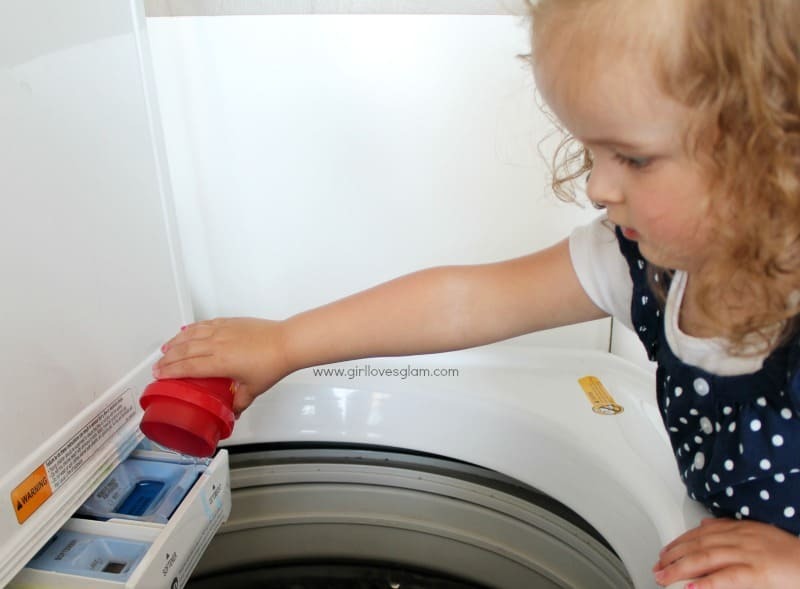 Don’t ever leave your child by the laundry machines without adult supervision either. It is important to teach children how to be responsible, but it is more important to keep them safe! 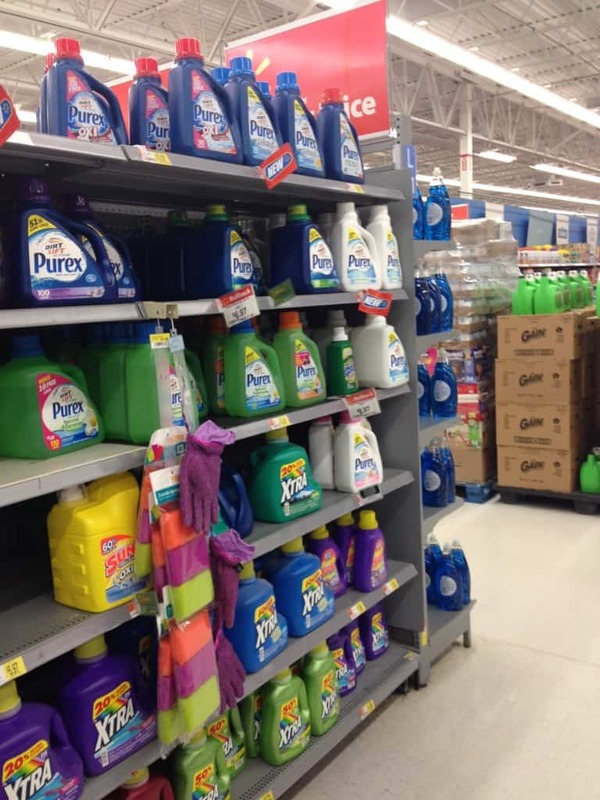 You can find the Purex® No Sort™ laundry detergent at Walmart in the laundry detergent section. I found mine up on the very top shelf, closest to the edge. 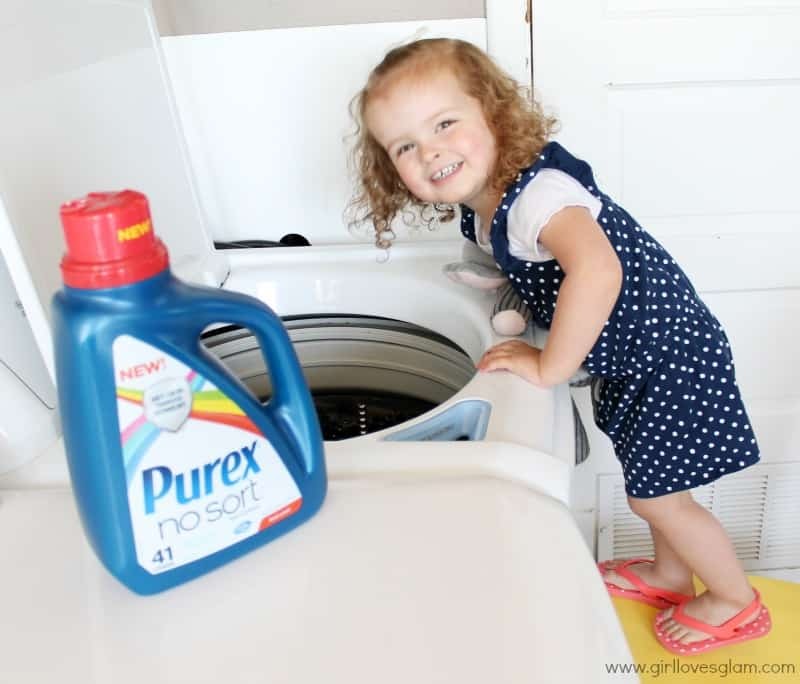 Rethink how you do laundry too by following Purex on Pinterest, YouTube, Twitter, and Facebook! 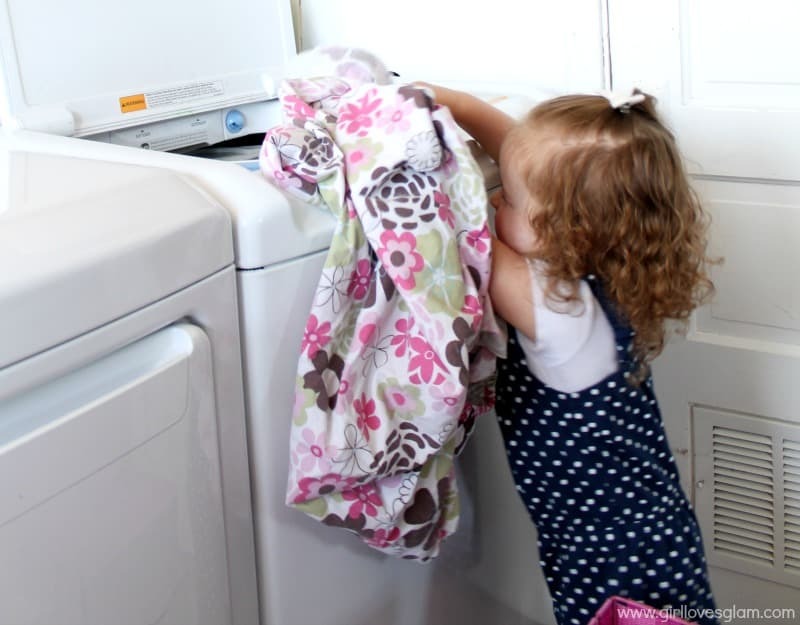 What chores do you teach your toddlers? First, let me start off by saying that this vacuum is freaking amazing. I can’t even tell you how excited I was to try it out. With as much as I vacuum my house right now with millions of house showings, I need a reliable vacuum. Something that is also important to me right now, is a vacuum that I can move around quickly as I rush like a mad woman to get fresh vacuum lines before my house is shown while my husband sits in the car with my family, waiting for me to come out to leave. Carrying around our old vacuum while running through the house frantically was a work out! 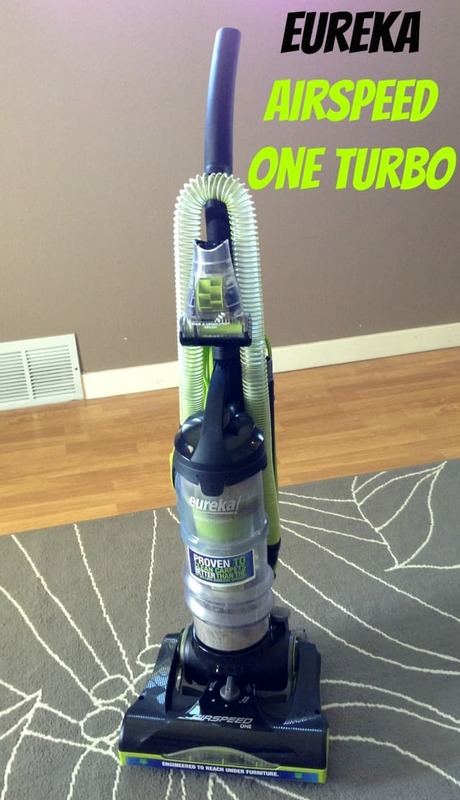 The Eureka AirSpeed ONE Turbo vacuum is so lightweight. I can easily take it from one room to another no sweat. 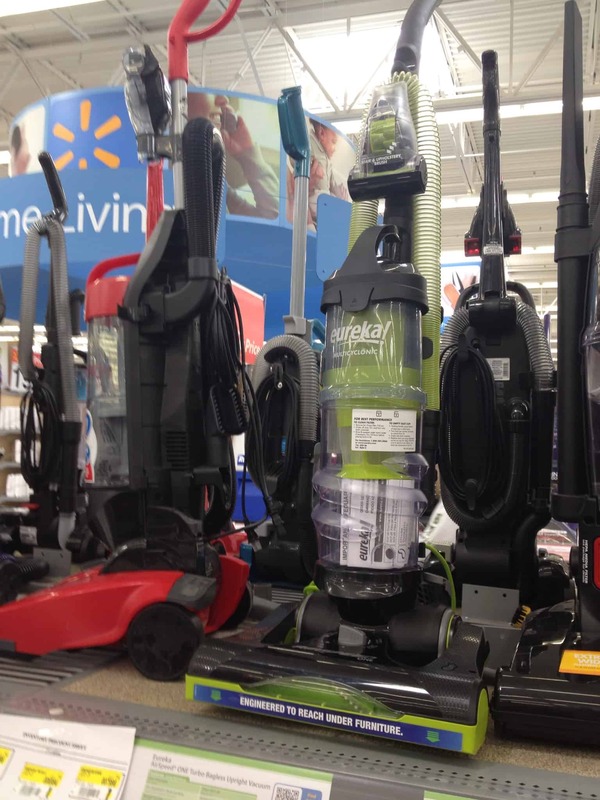 I was shocked at how inexpensive this vacuum was too! A quality vacuum for under $100 is really hard to find. The suction was just as good as vacuums that I have used that are three times the price of this one. I got my Eureka AirSpeed ONE vacuum at Walmart. It was in the vacuum section and it was the LAST one there when I bought it. It looks just as nice as the vacuums that are much more expensive, but the price is a lot more affordable. It was nice to be able to pick it up, get it in my cart, pick up my groceries and be done with it. I didn’t have to bother going to a store that was totally out of my way. To see my entire shopping experience, look here. Another great part about this vacuum is that it was so easy to put together! After getting it all out of the box, it only took about 15 minutes to get it all put together and ready to use. It was easier to put together than most of my daughter’s toys are! I can’t even tell you how impressed I am overall with this vacuum. I was shocked at the value of it! 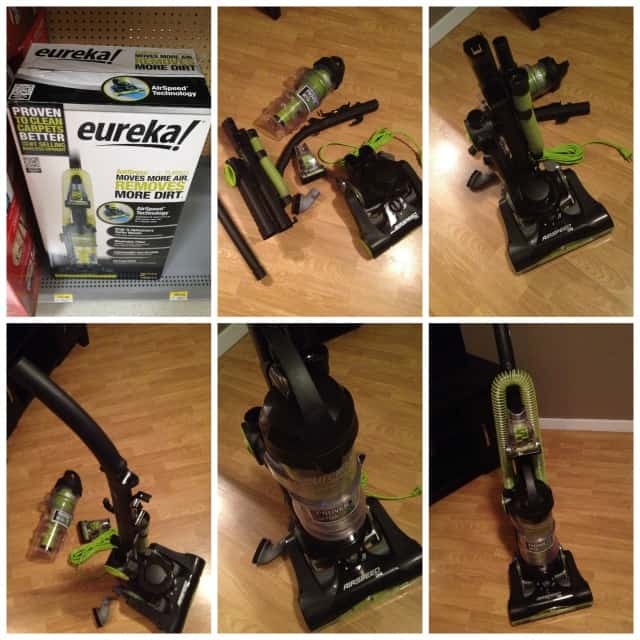 Be sure to go check out Eureka on Facebook and Twitter to learn more about all of their vacuums they have to offer. 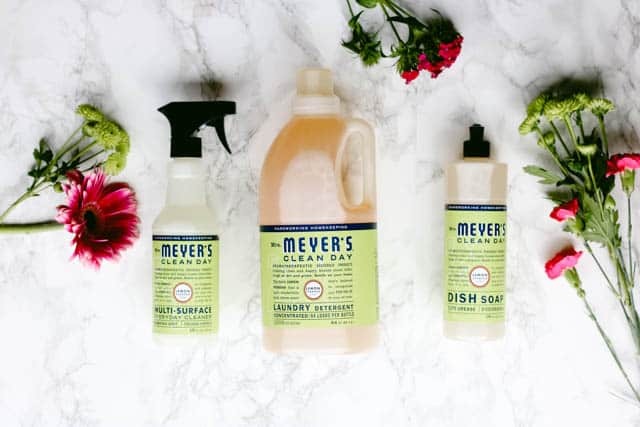 I was on the local lifestyle show, KPVI More this week talking about Spring Cleaning. I don’t love cleaning, but I do love how my house feels afterwards! You can watch the segment here. Be sure to follow my cleaning board on Pinterest too! 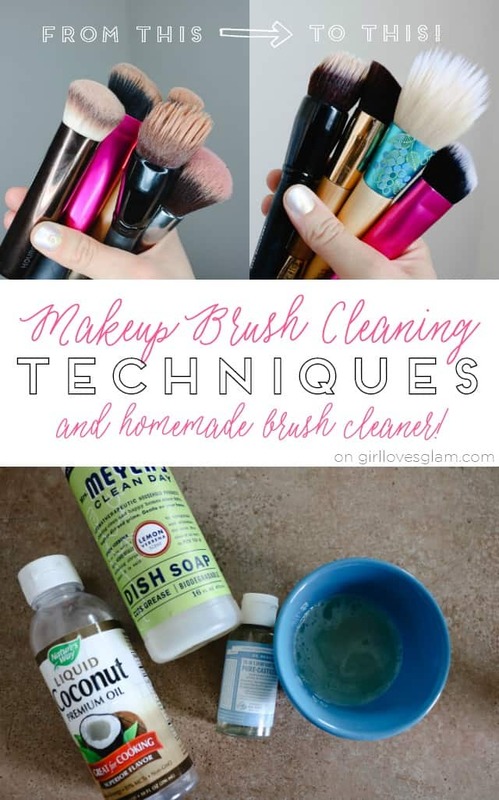 For more cleaning/organization posts, check out these posts here! I am sure that most of you have seen my organization board. It basically rocks my world. But not all things are perfect. That is why I needed to do a little tweaking… The chore list. I am offering this list that is customized for you over on my Etsy shop. If you would like this list customized to what you need, please go there to purchase. You can find that HERE. SO much better! The color matches perfectly and the chores are ones that actually need done at my house. Who else is loving the new look? I can’t wait to do it this way! If you want to use this, just save the picture and print it off. Please only use this for personal use! This is still very much inspired by Brown Paper Packages and I can’t take any credit for the design, just the chores that I do!